This article is part of our special report Enabling the Next Technology Revolution. SPECIAL REPORT / Public and private investment is taking off to push the deployment from 2020 of the fifth generation of mobile communications, the 5G, which will be among the hot topics under debate at the World Mobile Congress, starting today (24 February) in Barcelona. The 5G is expected to exponentially increase the speed and capacity of wireless communications, while driving the convergence between wired and wireless connections and paving the way for the emergence of a real ‘Internet of Things’. The European Commission estimates that 7 trillion things will be connected thanks to the next generation of communications system. Computers, cars or fridges will respond to wireless orders and will also be able to communicate among themselves, say experts working towards the 5G revolution. As a consequence of this surge in connectivity, the EU Executive foresees energy savings up to 90% per service provided. 5G is expected to make equipements, services and entire cities smarter. Big investments are piling up already now to develop the enabling technologies and to position companies and countries in the new emerging market. In the last seven-year budget, the European Commission co-funded projects for the roll out of the 4G and the initial development of the 5G architecture. Around €350 million were set aside between 2007 and 2013 to fund research on wireless technologies through projects such as Metis, 5Gnow, IJoin or Tropic. Many top telecom companies were involved in these projects, including British Telecom, Ericsson, and SAP. The commitments towards the next generation platform have now grown significantly. Last December, the EU Executive signed a number of partnerships with private actors to jointly fund research and innovation in key sectors. The development of 5G is one of the priority sectors. By 2015, the Commission is engaged to channel up to €125 million for this public-private partnership. This sum will increase up to €700 million by 2020. The private companies involved in the partnership have committed the same amount from their part. Expectations are however much higher and put the private investment at up to €7 billion. In addition to the €700 million already committed, "the telecommunications industry will invest five to ten-times this amount in activities contributing to the objectives of the partnership," reads a note of the Commission. These figures are ambitious, include several parallel investment, and their final delivery is far from certain – depending on market conditions and global economic trends. But they certainly do not represent an overestimation of the investment needed. Outside Europe, huge sums are being hoarded to fund the 5G development. Huawei, one of the main Chinese players, announced investments for a commercial roll-out of 5G of minimum $600 million by 2018. Adding other private actors, and public intervention, the overall Chinese investment is expected to be much bigger. In South Korea, the government announced a plan to spend $1.5 billion for the 5G, with the objective of increasing wireless capacity 1,000 times more than currently possible with 4G, which in South Korea is already much more developed than in Europe. Japanese telecoms operators are planning to roll out 5G in time for the Tokyo Olympic Games in 2020. "I want 5G be pioneered by European industry, based on European research and creating jobs in Europe – and we will put our money where our mouth is," EU commissioner in charge of the Digital Agenda, Neelie Kroes, said in a recent speech. "When it comes to 5G, the challenge is to secure Europe’s leadership in the particular areas where Europe is strong and where there is the potential for creating new markets and opportunities. Just think at smart cities, e-health, intelligent transport, education or the revolution in the field of entertainment & media," said Luigi Gambardella, head of ETNO, the association of the main European telecoms operators. "In this context, and in addition to the commitment of our companies, we welcome the projects that the European Commission has put in place in order to promote and sustain the common efforts on 5G. These efforts are timely," he added. “5G will have a fundamental impact on the ICT industry and on our quality of life. Huawei is one of the driving forces in making 5G a reality,” said Wen Tong, Head of Wireless Research at Huawei. “We began investing in 5G in 2009, and recently announced plans to invest an additional $600 million for research and innovation into 5G technologies by 2018." 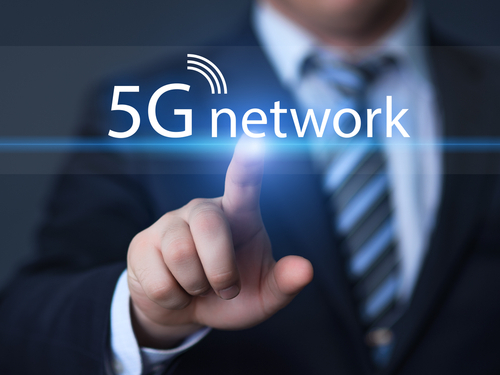 Consensus is gradually emerging among telecoms operators about a new set of standards around what is considered the fifth generation of mobile connections, so-called 5G, which should be operative from 2020. The route to 5G started in the early ’80s with the first mobile communications standard, the Total Access Communication Systems (TACS), which supported the first mobile phones. The ‘90s saw the spread of a European standard meant to become one of the most successful stories of the EU single market, the Global System for Mobile (GSM), which is still the most common standard for mobile telecommunications. The Universal Terrestrial Mobile System (UTMS), better known as 3G, is gradually taking over the GSM, as smartphones replace cellphones in users’ pockets. As the 3G reaches its maturity, the 4G, or Long Term Evolution (LTE), is seeing now its first commercial offers and promises to significantly step up the quality of mobile services, making for instance mobile TV a much simpler option for users than it is the case now. Taking one example: mobile comms (I’m talking voice – not even data) is still…. how can I put this delicately?… I cann’t… CRAP on many/most mainline routes in the UK. Dropped calls continue to be a feature of the “service” indeed that is “normal” service. Calls continued in tunnels? (like in Switzerland?) you have got to be joking (the tech has been around for 10 years+++). More than 20 years after GSM was launched mobile services at least in the UK are a disgrace – & from what I hear with respect to some places in Bruxelles – ditto. Here is a suggestion for Nellie – why don’t we get to the point where there is comprehensive coverage of 2G (not even 3G) & then when operators have fulfilled public service obligations (remember them?) then take a look at 3G, then 4G and finally 5G. Euro operators like Vodafone want 5G license? let them first meet obligations for 2G. I agree with Mr Parr ! if you get in a hole you can’t even with 6 or 7G call the SOS! I think coverage is the most important for the UK ! Besides military Not everyone has an iridium! There is no such company as British Telecom! It is BT Group PLC just like BP replaced British Petroleum. What is it with the US & EU not being able to work out the names of large global companies?